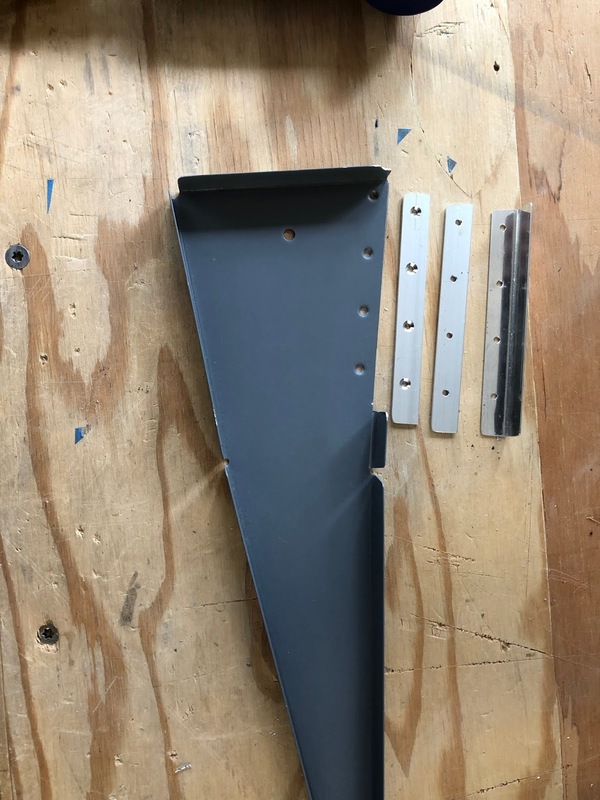 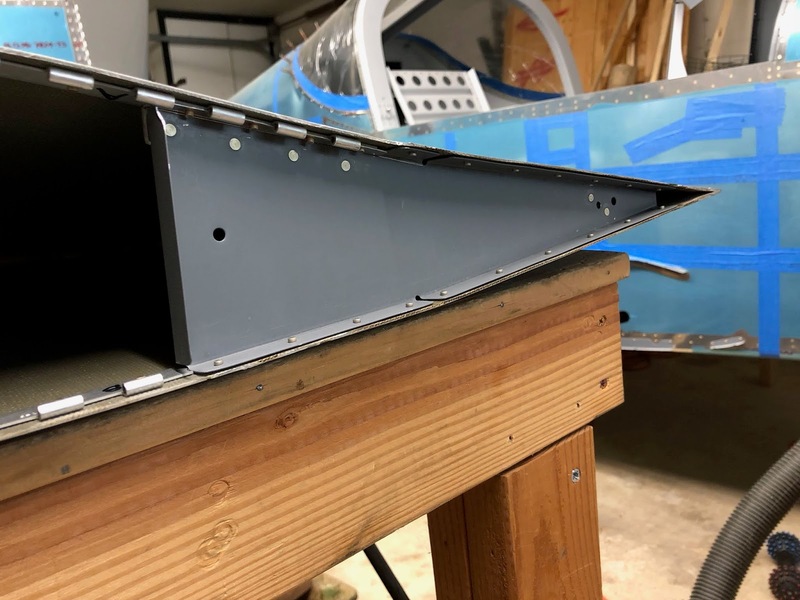 The rib that is inserted in the fiberglass wing tips must be reversed to make the hinge pins accessible. Also, the top flange has to be modified to accommodate the overlap with the hinge. I cut off a section of the flange and riveted on an offset flange as shown below. Here are the 1/8 inch spacers and the new flange angle. 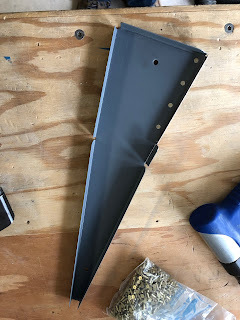 I dimpled the rib and counter sank the top spacer. 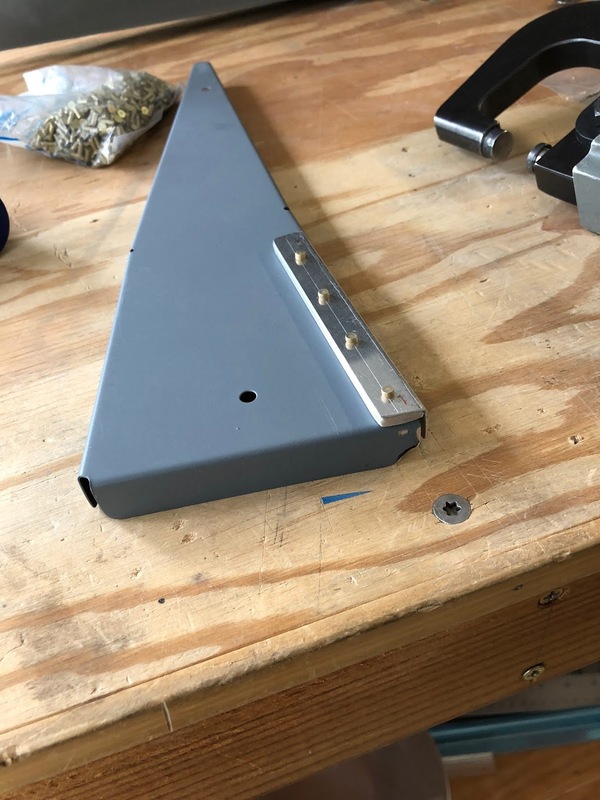 The new flange angle is also offset by the thickness of the hinge from the rest of the rib flange. I am looking forward to formation flying with the RV-14. 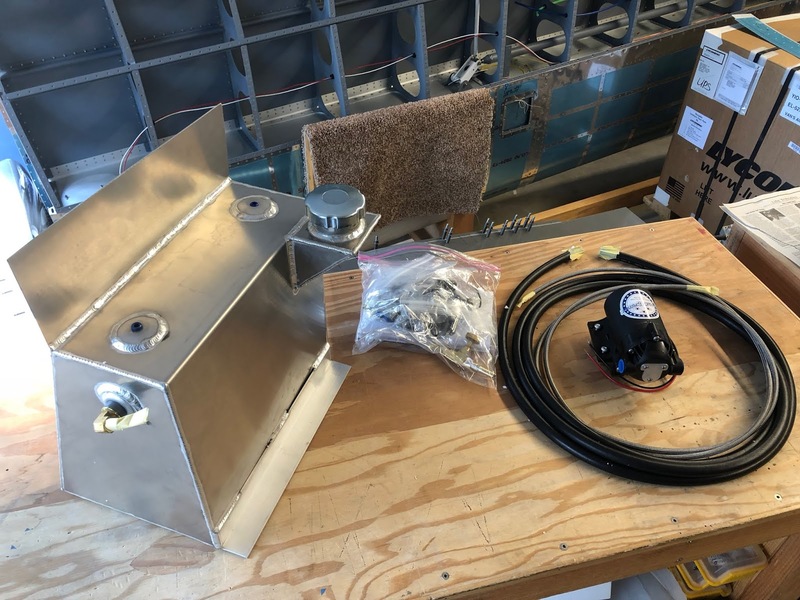 Of course you need a smoke oil system if you are serious about formation flying. I ordered a smoke oil tank from Merv at smoke system helper I figured it would take several weeks to build and ship out, but it appeared on my door step today less than a week after ordering it! 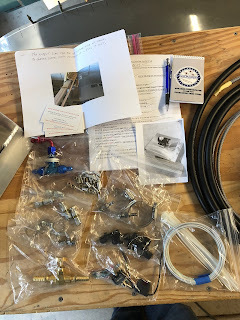 The kit seems very complete including plumbing and wiring supplies.